Chris Allen is the Owner/Agent of the Goosehead Insurance branch in Spring/The Woodlands/Magnolia areas in Texas. Born and raised in North Houston, Chris and his family have been long time residents of the area. As a Business graduate from McNeese State University and Cowboy Football team alumni, Chris understands hard work and the time and effort it takes to earn a dollar. This is why Chris and his Goosehead team are dedicated to investing your insurance dollars in the best way that fits you and your family. 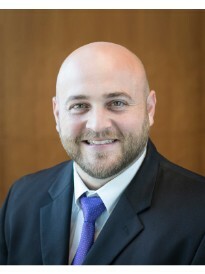 Goosehead Insurance represents multiple top rated carriers and through the power of choice and competitive rates, Chris will navigate the insurance market and provide a customized policy for each individual client. We are an agency with options. As your insurance advisor, Chris will help you plan for the unexpected and provide the right coverages to protect what matters most. At Goosehead Insurance 100% of our customer support team is fully licensed to service your policies and professionally trained to provide an unmatched concierge experience. We are excited about the opportunity to serve this area of Texas and look forward to not only meeting our client’s expectations but exceeding them. Buying insurance can be a complex process and we want to get it right the first time. Feel free to call Chris for a no obligation insurance quote or a complimentary review of your insurance portfolio.